When the opportunity arose for Reliant Medical Group to rethink distribution of care delivery sites, clinical operations, and space standards, they engaged The Innova Group to lead them through a process of visioning and developing a new clinical facility portfolio. 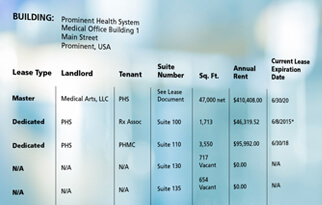 Reliant Medical Group (RMG) is a 250-provider medical practice in Central Massachusetts. RMG has a long history of working in a capitated/risk model, has a mature relationship with electronic records and other technologies, and has been continually improving and innovating for many years. With over 20 sites of outpatient care, many planned on now-outdated operating methods, idiosyncratic preferences of the individual occupants and/or the configuration that the existing space would allow, and more than half of RMG’s primary care facilities under a master lease agreement that might not be renewed, this provided an unprecedented opportunity to redesign the distribution of care sites, envision new workflows and patient experience, and develop a built environment where form can truly follow function.